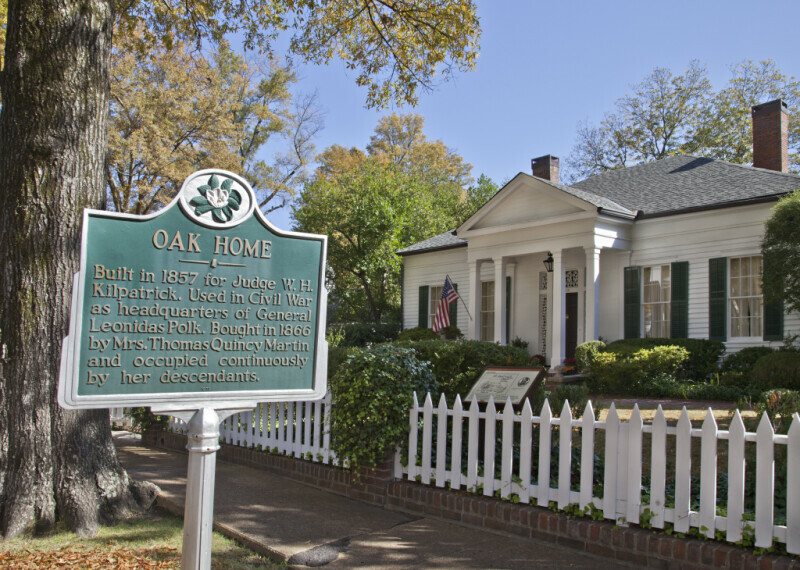 This is the "Oak Home," also known as the H.I. Williams House, at 808 Fillmore Street. The house was built for Judge William H. Kilpatrick, around 1856-1857. The architectural style is firmly Greek Revival. The central gable has a full entablature and pediment. There are two brick chimneys on the roof. WARNING: You are about to download a 37.4 MB TIFF!